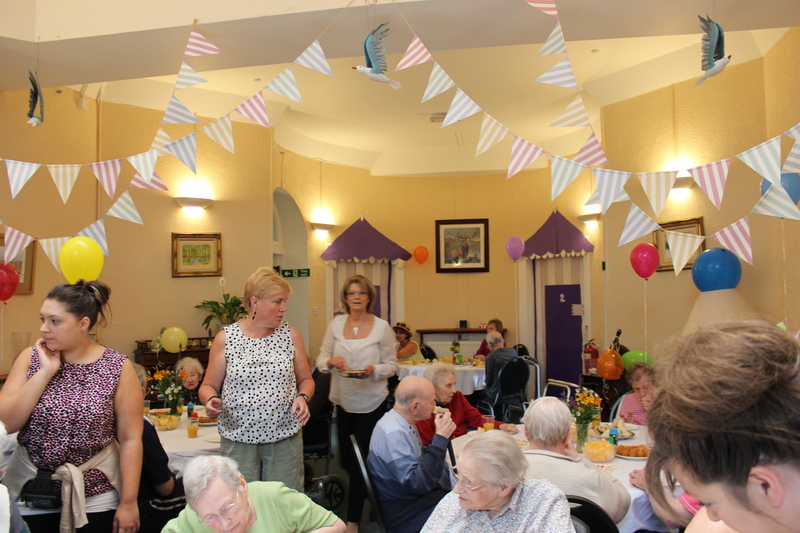 Outside the rain was lashing down but Anderson’s had transformed itself into a sunny summer’s day with seagulls gliding above and bunting hanging from the walls which were decorated by staff. 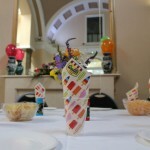 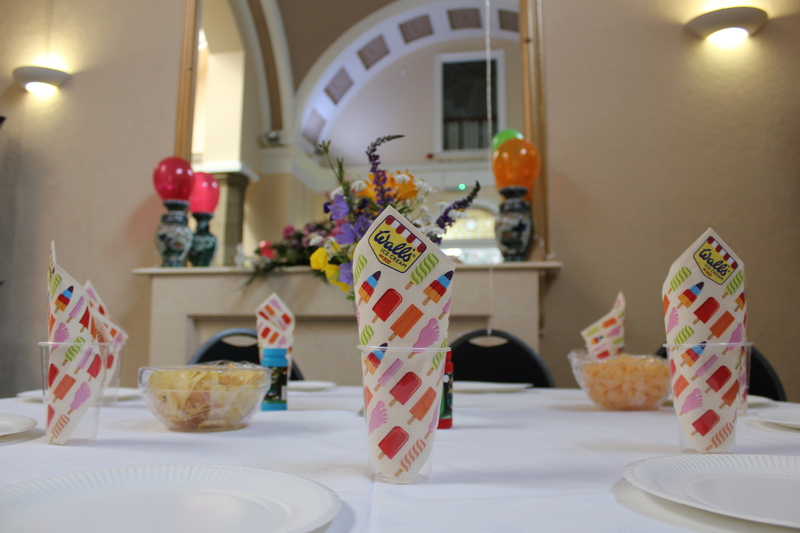 The tables were smartly dressed with fair ground style napkins, balloons, bubbles and fresh flowers which filled the hall with their scent. 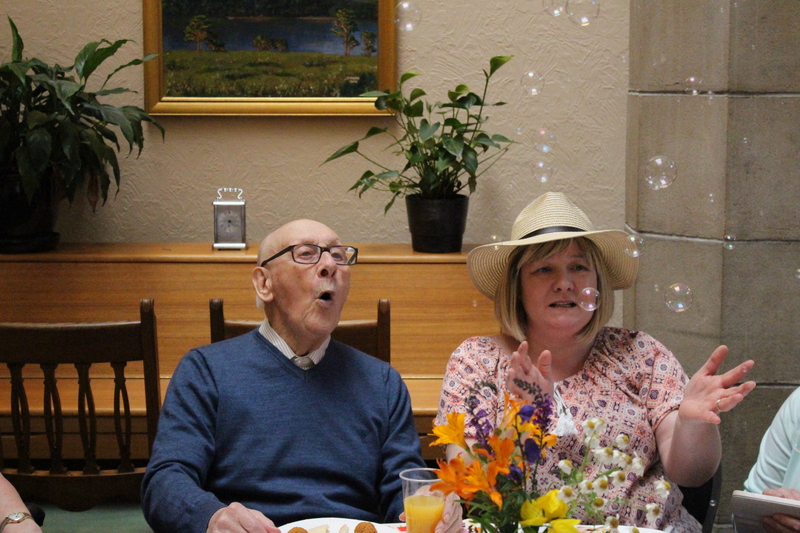 The seaside tunes and seaside sound effects only enhanced what was a memorable day for all. 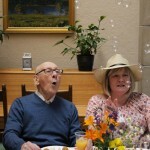 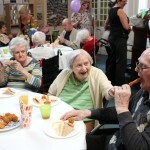 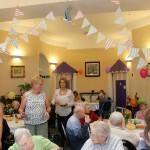 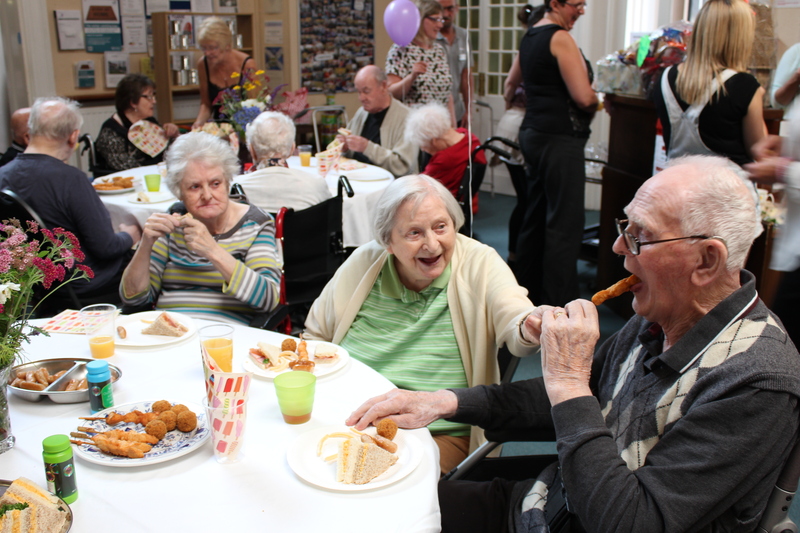 Residents sat down at 12:30 to a lusicous buffet spread which filled the tables with the ever more spell of the fairground with a selection of picnic foods, fruit punch and delightful desserts. 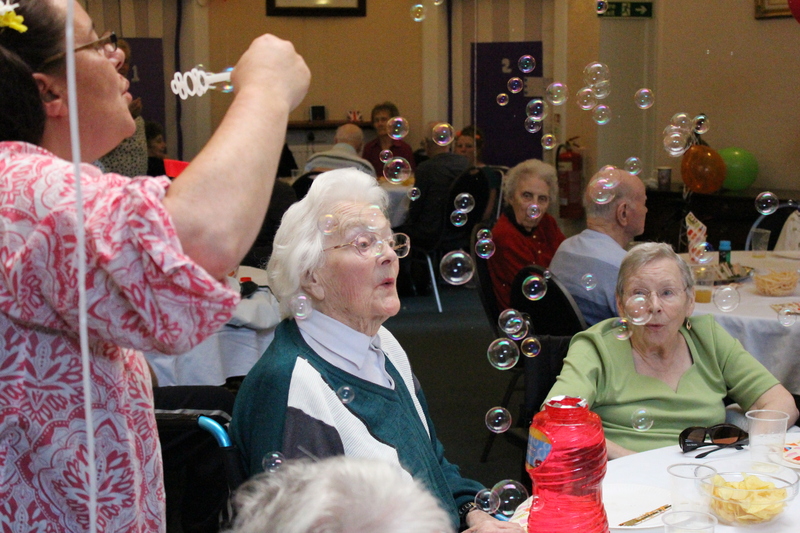 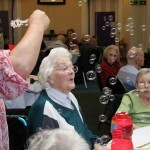 Staff raised many smiles and there were shrieks of laughter amongst the residents as they took turns blowing and catching bubbles whilst also enjoying the sideshows of ‘Tin Can Alley, Hoopla, Hook the Duck, Luck Dip. 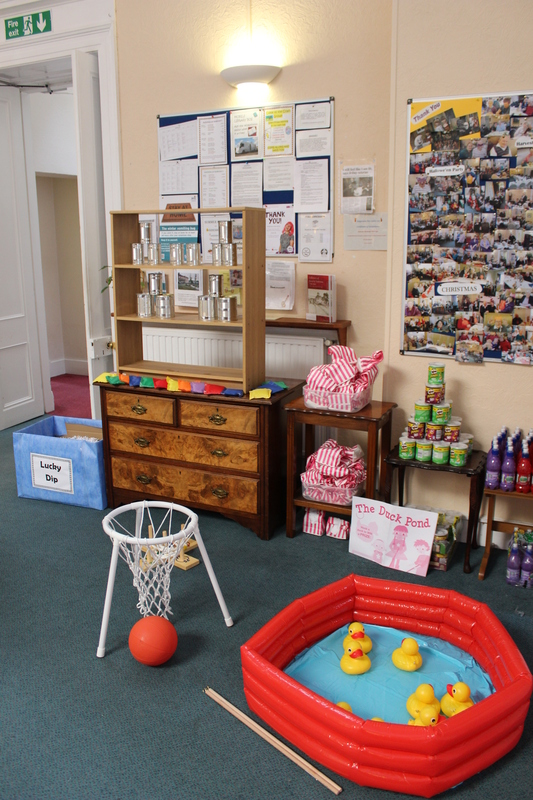 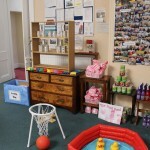 Prizes were a plenty including candy floss and traditional sweets.